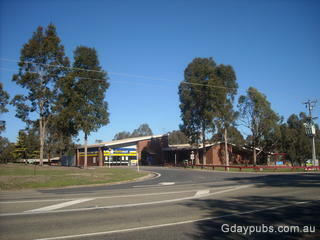 Bonnie Doon (VIC) , infamous for its town being used for the movie "The Castle" at last has water under the bridge! 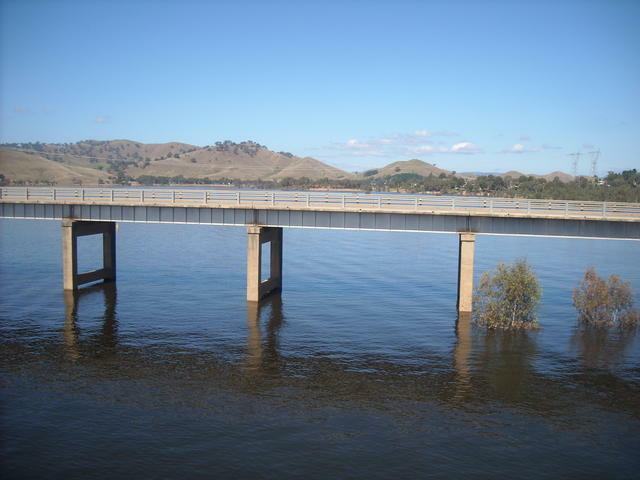 This picture is taken, standing on the old rail bridge, and looking over the highway/road birdge towards the main lake which is the northern most end of Eildon Weir. The Bonnie Doon "Lakeside" Hotel/Motel is just out of sight to the left of this photo where the bridge ends. More recently recognised by the comedy film "The Castle" and its supposed serenity, one thing is for sure.... there's very little disturbance from motor boats since the weir dried up many years ago!